Any organization which runs a large number of projects will need to group the projects according to risk. This will allow them to set the necessary level of management attention and risk management for the project right from the start. How many different skill areas are involved? Do required skills come from completely different parts of the organization and if yes, are they used to working together? In some cases, a low budget project can result in large amounts of lost business if it fails. It is important to look not just at the money being invested in a project but also at lost revenue, lost customers, and similar factors. 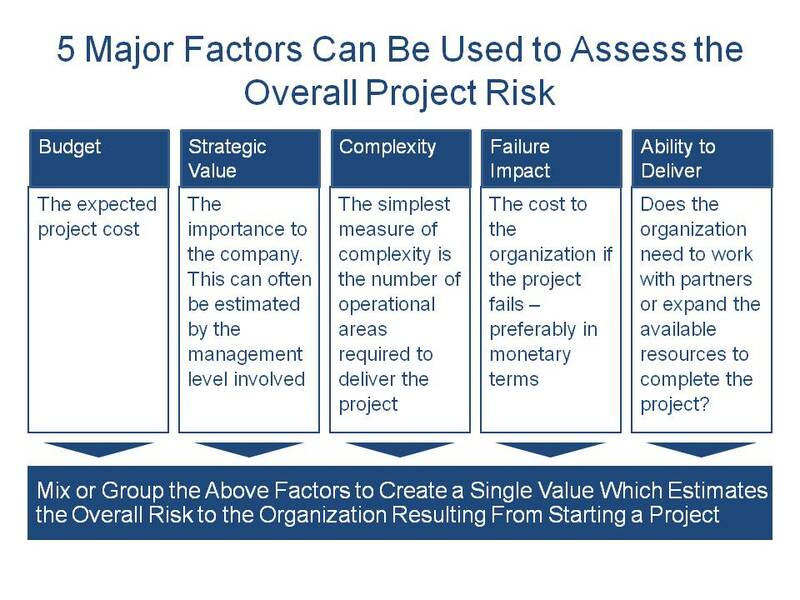 After looking at these factors, an estimate needs to be made about how much money the organization will lose if the project fails. Does the organization have all the necessary skills and resources available to complete the project? If the answer is “no”, then the project team will need to buy in the necessary resources and expertise or develop them in house as part of the project. This clearly adds risk to the project. Note: For some organizations this may not be a risk factor. The organization may have decided that if the relevant skills and resources are not available then the project will not be started. The next step is to combine the five main risk factors together to create a simple value. This can be a simple sliding scale from 1-10 or it can be a simple grouping such as category A, B, or C projects. The method that you choose will need to meet the needs of your organization. Personally, I prefer a simple grouping. Then there is no discussion about borderline projects. 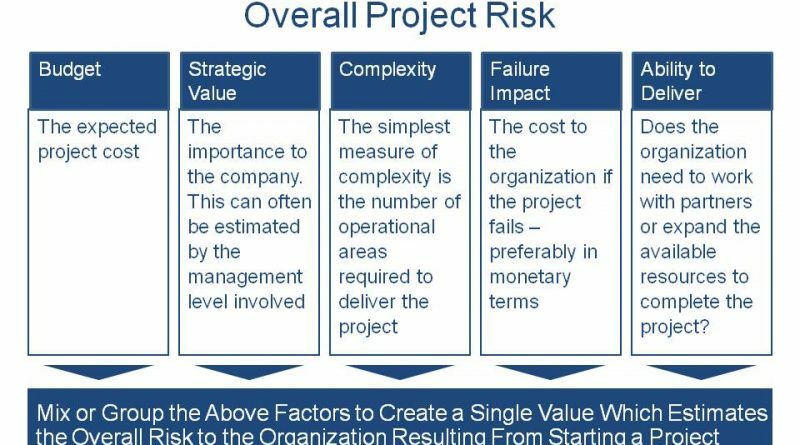 Once the level of project risk has been decided, this value should be used to define the amount of management attention and risk management a project receives. High risk projects obviously need careful risk management procedures and attention from the core management team. 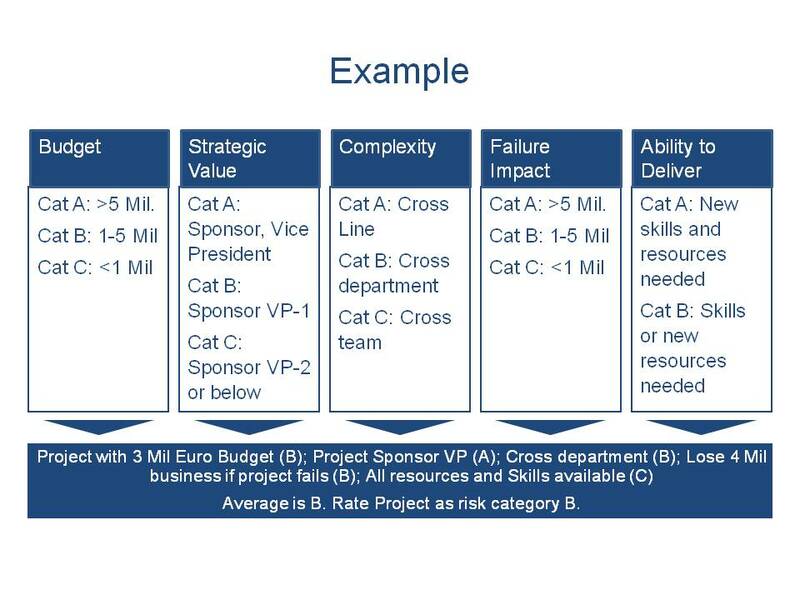 Low risk projects can probably be left to their project sponsor to manage directly.